Robert Johnson was known as „King of Delta Blues“. The Club-27 Robert speakers transport the dense atmosphere of his Blues, they offer complete sound from the fundamental basses and the warm natural midrange to brilliant highs. Fantastic Loudspeakers which have been a joy to build with great customer service, advice and encouragement from Club-27. In short; these loudspeakers have oodles of bass with great detail and dynamics. -- Ian - Perth, Scotland. Robert Johnson was born in 1911, he was a famous guitarist, songwriter and singer who made the Blues popular for the masses and he is known as „King of Delta Blues“. The spirit of his music after about 100 years is still alive and you can feel it in many modern Blues songs. The Club-27 Robert speakers transport the dense atmosphere of Blues, they offer complete sound from the fundamental basses and the warm natural midrange to brilliant highs and you can catch the live feeling of a blues- concert in your living- room. The 6,5“ crossoverless wideband drivers of the Robert speakers and the detailed and sparkling sounding horn- tweeters offer you all the finest details which let the music come alive for a more intense and deeper impression of the music. The Club-27.com Robert speakers are very easy to integrate in your existing interior design. The footprint is small and the Club-27.com Robert speakers can be placed close to the front- wall in smaller to medium sized rooms. The self- regulating floor- firing bass- horns guarantee fundamental and much more dynamic basses than anybody could expect from the compact wideband drivers. The Club-27.com Robert speakers are medium efficient at 90dB/1W/1m in 8 Ohms but they are an easy load for any amp and they don`t require high wattage amps to offer dynamical sound. In my study I had recently replaced my ageing Naim Nait 1 with a Naim Unitiqute 2 and fancied replacing my ageing Linn Kans with something bigger, but I also fancied building them myself. Having looked at various websites and designs I came across the Robert DIY Loudspeaker kit from Club-27 and thought that these looked interesting especially because they used a horn design. 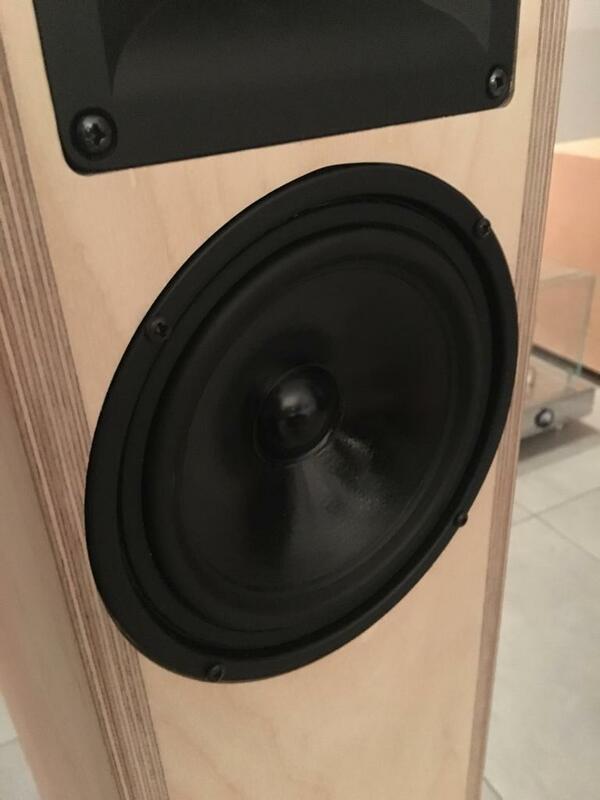 After a little bit of research I discovered that these speakers were designed by Robert Bastani who also designs and fabricates the Bastanis loudspeakers. 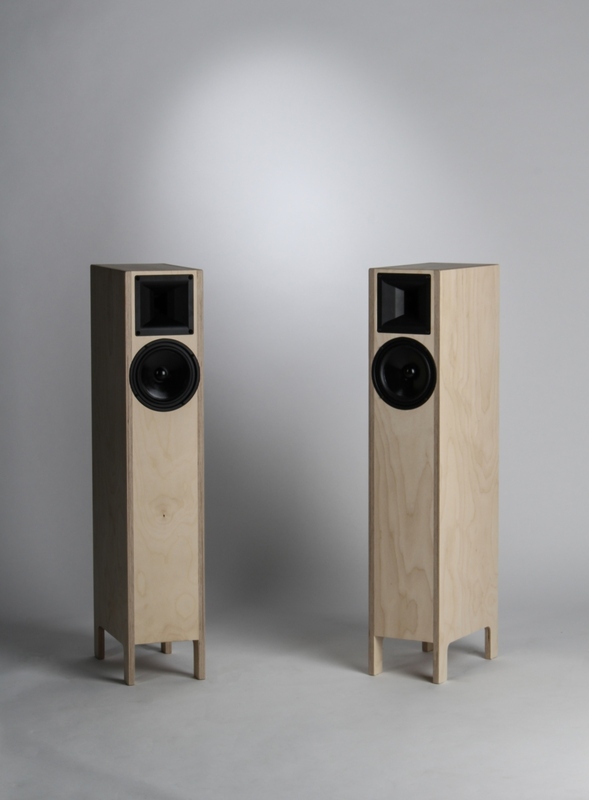 These are very high end loudspeakers and there are several very good reviews of his designs. After a few emails to enquire about the suitability of the Robert speakers I was struck by the enthusiasm and advice provided by Robert Bastani himself. So much so that I went ahead and ordered the kit. The loudspeakers themselves are straight forward to build if you are a reasonable DIY’er (but make sure that you have plenty of clamps when glueing the cabinets together - it’s impossible to have too many!!) and advice from Robert was always forthcoming when I had any queries. Customer service from Club-27 is frankly second to none. Both Armin and Robert were great to deal with. When I got the Robert speakers built my study was in a state of upheaval so instead I slotted them into my main system in the living room which is a Naim Nap 250 feeding Naim SBLs; just to see whether they would work never mind how good they would sound. Of course they worked! Furthermore they sounded fantastic better than my SBLs? Changing between them and the SBLs I concluded that the Roberts had more bass, as much if not more detail, and the same sort of dynamics as trademark Naim. These were better than the SBLs! The only thing I thought that the SBLs did better was that they were a bit smoother. Contacting Robert to let him know how I found them he recommended the crossover up grade. This may seem a little expensive but looking on line quickly confirms that high end audio capacitors and resistors are pricey but do get very favourable reviews. On the basis that everything that Robert had told me had proved to be right I took the plunge and got the crossover upgrade. I had two external patch board with the old and new crossovers on so that I could compare them. Would I be able to hear a difference? I was very surprised, the changes are really quite dramatic. Immediately there was more depth to the bass and a real smoothness through the mid range into the treble that made the whole soundstage more coherent and together without any loss of details or dynamics. Absolutely fantastic - I was really pleased. These sound so good they are staying in my main system and I am really enjoying listening to them. The SBLs have now been sold on eBay and I am getting ready to order the smaller Janis DIY kit for my study.